Use this 7-piece Paasche Airbrush Cleaning Kit to get rid of paint remnants in your airbrush and make the process of cleaning as easy as pie! The set is universal for all airbrush tools. For this reason, many users find the Paasche AC-7 a must-have kit for the airbrush machine maintenance. 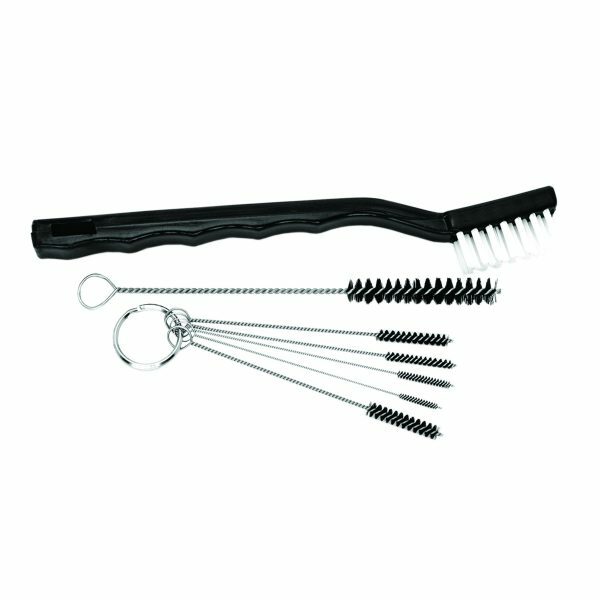 And that’s why we recommend this airbrush cleaning brush set to our customers as an ultimate accessory for all airbrush models. 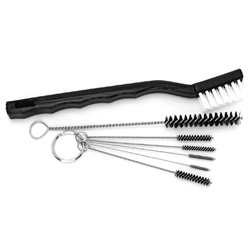 Because this cleaning kit allows you to almost effortlessly keep your spraying tools like new. With the Paasche AC-7 Kit, it is simple to quickly clean your airbrush and make it ready-to-spray. Small parts and hard-to-reach areas in the airbrush nozzle are no longer an issue for cleaning. There are 7 different-sized brushes that are specially made to remove medium residue from all the corners of any airbrush. 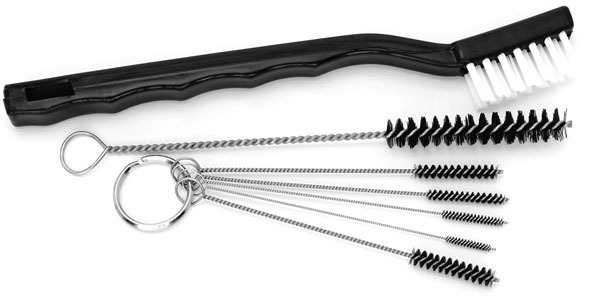 As a nice addition to that, the set comes with a little ring that puts all the brushes from the set together. Thanks to this small simple addition, the brushes won’t get lost, particularly as some of them are extremely thin. 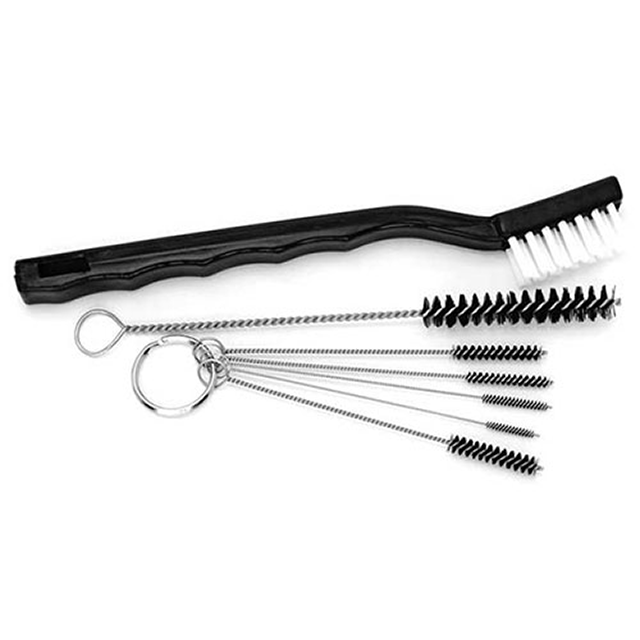 five 4” (102 mm) pipe cleaner brushes.